Prilosec lawsuits are being investigated over kidney disease, heart attacks and other complications that might re associated with use of the popular heart burn medication. Bernstein Liebhard is offering fee, no-obligation legal reviews on behalf of patients who may have been harmed by Prilosec. To learn more about filing a Prilosec lawsuit, please call (888) 994-5118. Prilosec is a prescription Proton Pump Inhibitor (PPI) manufactured by AstraZeneca. The company also sells an over-the-counter version of the heartburn drug, Prilosec 24HR. When prescription Prilosec was launched in 1988, it was the first of the PPI class to come to market. Recently, some research has suggested that Prilosec and other PPIs might also increase a person’s risk for kidney disease and heart attack. In January 2016, a team of researchers from Johns Hopkins University published a study in JAMA: Internal Medicine that suggested the use of PPIs could increase the risk of Chronic Kidney Disease (CKD) by as much as 50%. The team followed 10,482 people for an average of 13.9 years, comparing those who used PPIs to those who did not, or to those who used alternative medications called H2 blockers (Tagamet, Zantac, and Pepcid). While the findings do not prove that drugs like Prilosec cause kidney disease, the report’s authors contend that the subject warrants further study. Chronic Kidney Disease is a condition that can lead to kidney failure, dialysis and even transplantation. PPIs can cause magnesium levels to decline in the body, which may lead to kidney damage. The drugs can also cause bouts of nephritis, an acute inflammation of the kidneys. Individuals who were diagnosed with stomach cancer following long-term Prilosec use may want to consider filing a lawsuit, following the recent publication of a study that linked proton pump inhibitors to an increased risk for the disease. 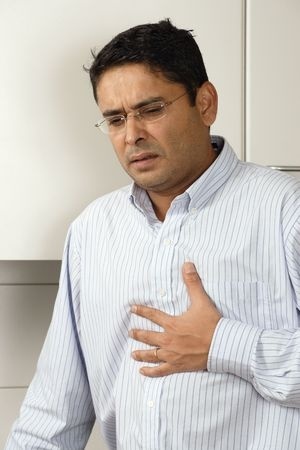 The study, which appeared in the September 2017 issue of Gut, suggested that patients who used proton pump inhibitors were twice as likely to develop gastric cancer compared to those who took another class of heartburn drugs called H2 blockers (such as Zantac or Pepcid). According to the Hong Kong-based researchers who conducted the study, a bacterium called H. pylori is a known risk factor for both gastric ulcers and stomach cancer. But many patients still develop stomach cancer even after they’ve been cured of H. pylori infection. To better understand why, the research team studied 63,397 people who had been successfully treated for H. pylori infection. The patient population included 3,271 who used Prilosec or another proton pump inhibitor and 21,179 who had been treated with an H 2 blocker. During the 7.5 years of follow-up, 153 of those patients developed stomach cancer. An analysis of the data also suggested that the risk of gastric cancer increased the longer proton pump inhibitors were used. Taking a drug like Prilosec for two years or more increased the likelihood of gastric cancer by more than six-fold. In 2015, a study published in PLOS One suggested that PPIs were associated with a 1.16-fold increased risk for heart attack. That study looked at data contained in 16 million medical documents for 2.9 million people. H2 blockers were not found to increase the chances of a heart attack. The analysis also documented a twofold increase in risk for cardiovascular mortality. “Our observation that PPI usage is associated with harm in the general population — including the young and those taking no antiplatelet agent — suggests that PPIs may promote risk via an unknown mechanism that does not directly involve platelet aggregation. Accordingly, our recent molecular, cellular, physiological, and in vivo data demonstrating that PPIs inhibit DDAH [dimethylargininase] activity may explain how PPIs promote cardiovascular risk, and do so even in individuals not taking clopidogrel. DDAH, an enzyme necessary for cardiovascular health, metabolizes ADMA, an endogenous and competitive inhibitor of nitric oxide synthase,” the study authors wrote. Harmed by Prilosec? Contact an Attorney Today. Legal help is available to individuals who were diagnosed with kidney disease or who had a heart attack while taking Prilosec. To learn more, please call (888) 994-5118.